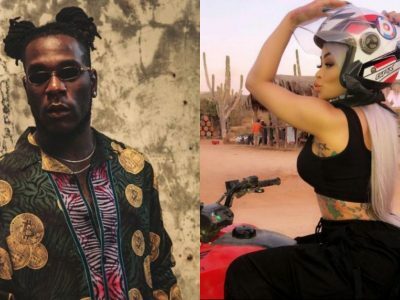 Recently, Popular Musical artist, Burna Boy, showed his reactions on Blac Chyna's plan to visit Nigeria in order to promote her lightening cream. 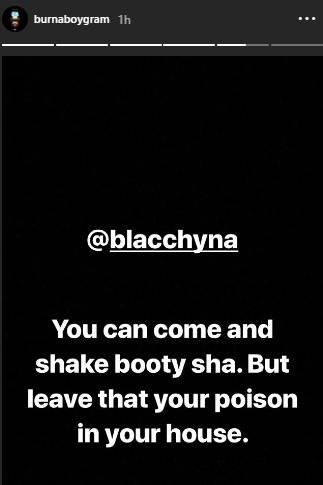 The "Ye" crooner said in the popular Nigerian expression that thunder will fire Blac Chyna if she tries bringing her cream to Nigeria all in the aim of selling it. 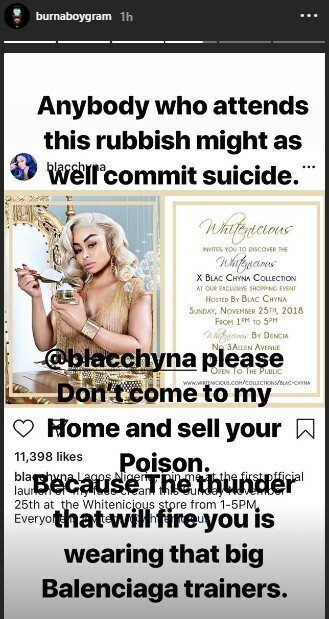 Previously, Nigerians reacted on social media over Blac Chyna's plan to sell the creams for whooping N90,000 when she tours the country. 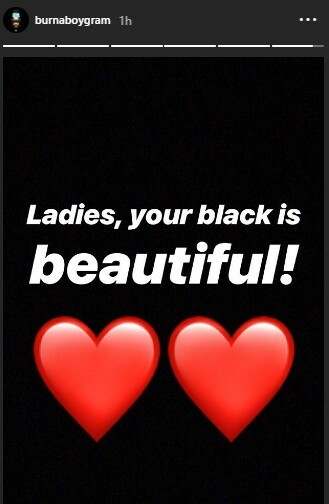 That's way lot of money for the average Nigerian. 'The rather exorbitant price of the cream had aggravated Nigerians and most people wondered why a non-African will come down to the country to degrade the women-folk'.